Published by Sounds True on July 1, 2017. Available at Barnes & Noble, Amazon and Whole Foods. Watch a read-through of the book! Join Lyla as she visits the zoo to practice yoga alongside animals that have poses named after them. Children’s picture book. Ages 4-8. Read my own story about publishing this book. 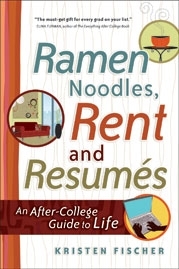 Encouraging college graduates to avoid a quarterlife crisis and embrace–instead of dread–life after school, this uplifting guide identifies ways to harness post collegiate enthusiasm. From managing finances with an eye to the future and embarking on a fulfilling career path to balancing work and personal life, recent graduates will learn how to navigate this opportunity-packed time. Copious anecdotes illustrate the post-school ups and downs experienced by many of today’s graduates and identify common issues and possible solutions–including effective job hunting, evaluating the benefit of graduate school, living at home, and general stress and depression. While acknowledging that this can be a tumultuous and anxious phase, particular emphasis is placed on the positive aspects of the period immediately following higher education, such as career advancement and personal growth. If you think that working from home in your pajamas–writing a book, painting a masterpiece or designing a work of art–sounds like a fun, carefree life you’re right! 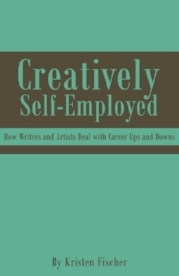 In this book, creative professionals and freelancers discuss what life is really like when you take the plunge into creative self-employment. 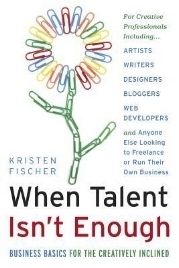 From waiting for clients to pay up and battling the “lonelies” to gaining self-assurance and growing your business, you’ll get a candid look at authentic living-straight from those who are out there making it happen.